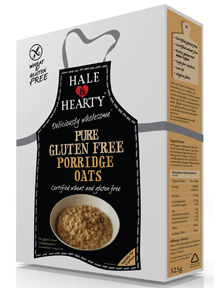 For those of you looking for truly gluten free porridge oats check out this gluten free option from Hale & Hearty. The lovely folks at Hale & Hearty sent me some samaples of their fantastic range of Fussy Foodie products so watch this space with more from Hale & Hearty. “The UK Food Standards Agency permits the labeling of gluten free oats falling below 20ppm. 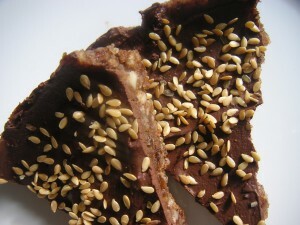 Ours are certifed gluten free and ELISA tested below 5ppm. 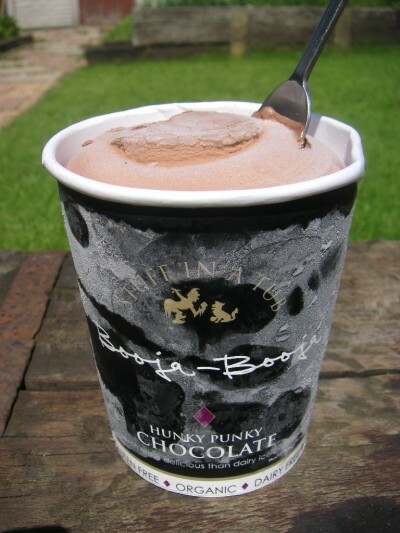 This product is licensed by Coeliac UK. Conventional oat companies do little to prevent the cross-contamination of oats when planting, harvesting, transporting, milling and processing. Jordans Porridge Oats (not Coeliac tested). Well I have to say I liked them, it has a more porridgy texture than a rolled oat and also quicker to cook and have what I can only describe as a really clean taste. Current medical literature states that most coeliacs can safely eat moderate amounts of uncontaminated oats… more advice on are oats gluten free? You can buy the gluten free porridge oats from Hale and Heart in Waitrose and online and instore at Planet Organic – love to know what you think too.